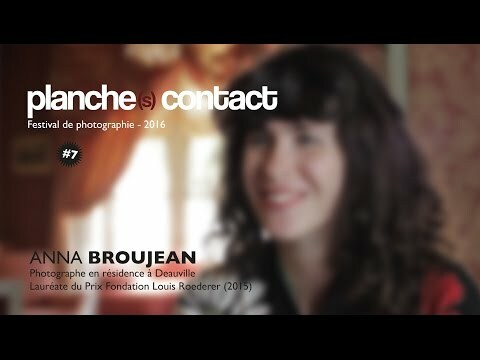 Born in 1987 in Paris, Anna Broujean graduated from the Ecole Nationale Supérieure de la Photographie d’Arles in 2015. In 2014, she was invited to the 59th Salon de Montrouge and her videos were projected at the Forum des Images and broadcasted on the Arte channel. This multi-skilled artist offers ironic works of reinterpretation and time shifts, combining photography, texts, archive images and facilities. After her first personal exhibition in Marseille in April 2015, she was welcomed in residence in Montréal and in Shanghai. She started to pursue the green beam. Between science, fiction and science fiction, this project is focused on the phenomenon of the green ray, this coloured light point that can be seen for few seconds as soon as the sun disappears below the horizon. Gathering investigation elements in the middle between dream and reality, and using several supports (photographies, photomontages, archive photos, collages, sounds…), “Pursuing the green ray” captures and turns into photos this furtive flash that sometimes appears on the horizon line of Deauville.